We offer guided walks to the top of Mbeya Pea which is 2835m high. It usually takes about 3 hours to get to the summit. 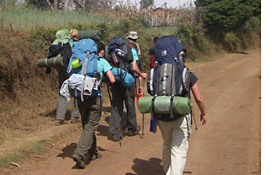 A pleasant half day hike from Mbeya to the 2656m peak and back.